Its very frustrating when you care for a pet and they damage your belongings. Some items are replaceable, like a sock or a piece of paper. But it can become a stressful situation when your dog chews your phone or a credit card. We receive phone calls on a daily basis for pet damage to carpet and can repair that area for you with no issues at all. There is no job too big or too small, we can do it all. 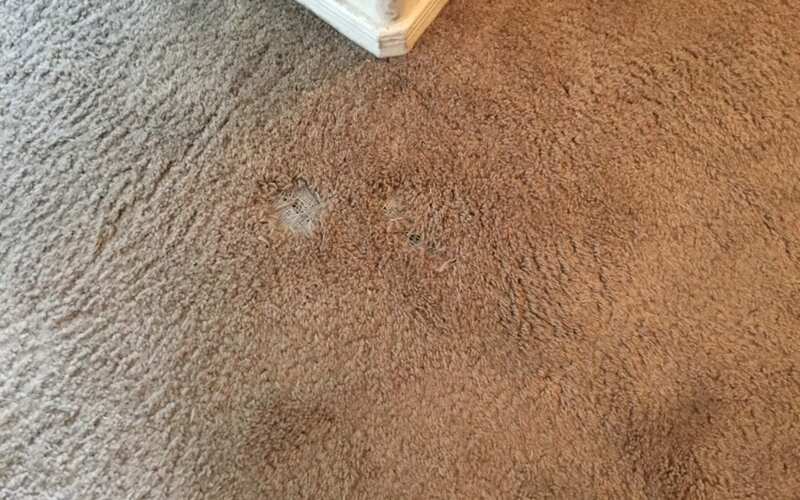 Our customer in Glendale was worried that the damage her pet did to the carpet could not be repaired. We always recommend that you look to repair your carpet before you replace it. Check out the before and after photos below for our customer.